399020AEU | A/C ExtenDye Cartridge - CPS Products Inc. Designed for use with our winged cartridge injection systems. A/C ExtenDye™ is enhanced with an additve package that extends the life and improves the efficiency of the A/C system. 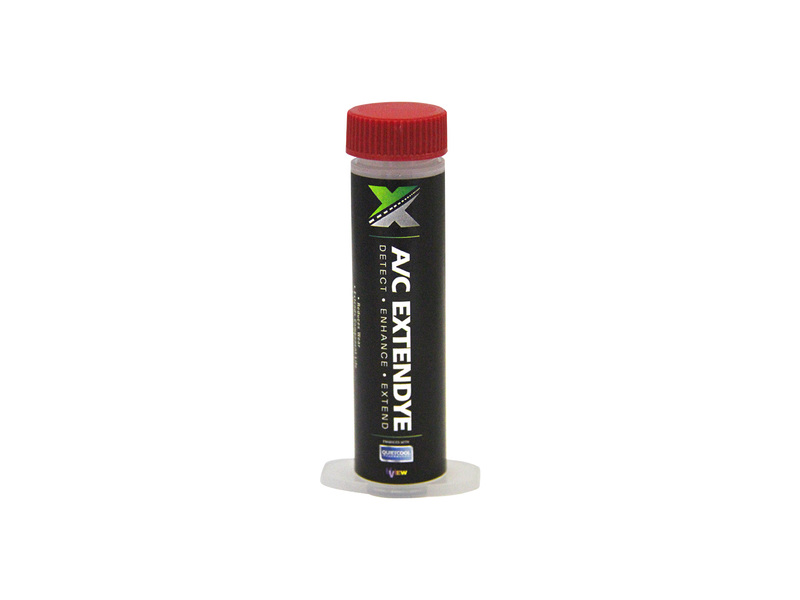 A/C ExtenDye is a super-concentrated UV dye that includes a friction modifier to increase lubricity of the compressor oil, improving efficiency (friction coefficient) by over 50% improving fuel economy. It also includes an anti-additive which creates a film that prevents contact between metal parts; reducing friction and heat, thereby extending component life; plus it includes an antioxidant to stop the oxidation process, reducing acidity and prolonging oil life.